With over 25 years of experience in the home comfort industry, Steele Mechanical, LLC Air Conditioning and Heating and our Highstown heating contractors and air conditioning technicians are some of the most skilled professionals in the local industry. We treat our services as if we are comfort doctors. Our experts troubleshoot your entire HVAC system and provide you with the precise solution to solve all your problems. Our team is adept at both commercial and residential HVAC services. We can design, install, repair, or replace any conventional air conditioner or heater. The one constant in all of our work is our goal to provide each of our customers with the highest quality and most customized services possible. For all your heating, air conditioning, or indoor air quality needs, call Steele Mechanical, LLC Air Conditioning and Heating. Our Highstown air conditioning company is here to assist you in any way that we can. Our knowledgeable experts can answer all of your questions. We can schedule your service call today. One of the most common reasons that an air conditioner fails to operate is the fact that the owner failed to conduct routine and adequate maintenance on the system. Neglecting your AC unit can lead to a number of deleterious issues. You air conditioner will operate less efficiently, will be more susceptible to damage, and will not be able to provide you with the highest level of comfort. When you hire our Highstown HVAC contractors to conduct an air conditioning tune-up, you rectify all of the above mentioned problems. It is highly recommended that you conduct an annual tune-up during the early spring. In this way, you guarantee that your receive all of the benefits of our efforts throughout the entire summer. 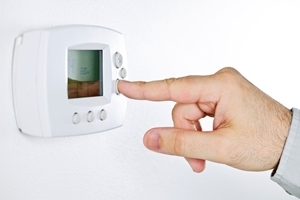 When people think about their HVAC systems, they often only consider their heater and air conditioner and the temperature within their properties. This mindset is unfortunate because your central air system also has an immense impact on the quality of the air that you breathe on a daily basis. "Thank you Scott for a job well done. You are honest and hard working. I will recommend you to everyone I know." If you are looking for a professional Highstown heating contractor or air conditioning company, then please call 609-259-3210 or complete our online request form.